The US has denied that it is collaborating with Islamic terrorists in Afghanistan to prolong the stay of its forces beyond next year, refuting an accusation made by President Hamid Karzai in the wake of a series of suicide bombings. Two explosions on Saturday killed 19 people in two different locations, including one in front of the Defense Ministry in the country's capital Kabul. 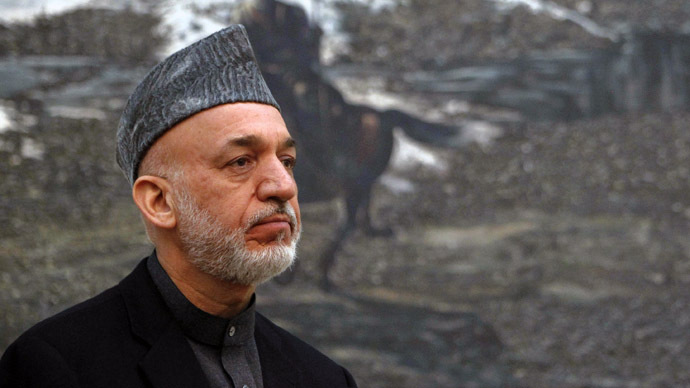 "Yesterday's bombings in the name of the Taliban were aimed at serving the foreigners and supporting the presence of the foreigners in Afghanistan and keeping them in Afghanistan by intimidating us," Karzai said in a televised speech, who has been in power since 2001. The terrorist acts coincided with Chuck Hagel’s first visit to Kabul as the US Defense Secretary, in which he was meant to discuss the gradual reduction of America's presence and the fates of Afghans held in custody by US forces. "This attack was a message to him," Taliban spokesman Zabiullah Mujahid said in the aftermath of the detonations. But this is not how Karzai saw the incidents. "Taliban leaders and representatives are talking with the US abroad every day," he claimed. The Taliban, a radical Islamic movement that controls swathes of the country, refuses to recognize Karzai’s legitimacy. The Taliban has “strongly rejected” the accusations in an email communiqué. The US and NATO forces commander in the country, General Joseph Dunford, also rebuffed Karzai’s allegations. ``We have fought too hard over the past 12 years, we have shed too much blood over the last 12 years, to ever think that violence or instability would be to our advantage,'' Dunford said. Meanwhile, the US embassy in Kabul reminded Karzai that it has not even held talks with radicals following a breakdown in negotiations exactly a year ago, and insisted that it has “long supported an Afghan-led process for Afghans to talk to Afghans”. Karzai has form of making dramatic anti-American statements – including referring to NATO troops as “pillaging occupiers” – whether out of personal frustration, or a desire to portray himself as a sovereign leader and not an American puppet to his domestic audience. Gen Dunford stated that he had never heard Karzai express similar views to him in private. The explosions and the fallout appear to have derailed what already promised to be tumultuous talks between uneasy allies. Karzai and Hagel cancelled a joint news conference on Sunday, although US officials maintained that this was simply a security precaution, insisting the two men would still meet one-to-one. They have a lot to discuss, following a string of apparent disagreements. The US has just reneged on a promise to hand over Bagram prison, in the east of the country, which harbors those US intelligence believes to be some of the most dangerous Taliban insurgents. 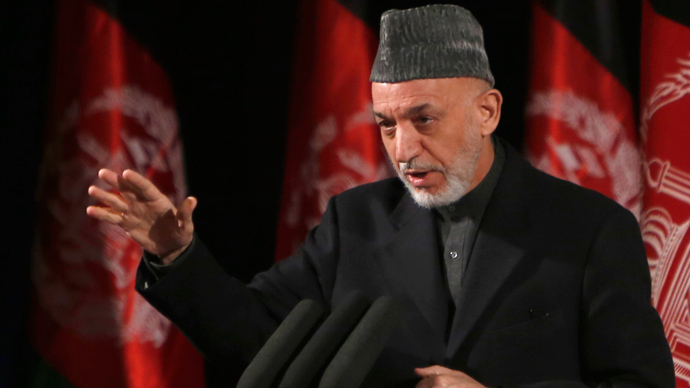 Although no official reason has been given, Karzai proclaimed last week that “we know there are innocent people in these jails, and I will order their release, as much as I am criticized for it”, and the statement appears to have infuriated Washington. 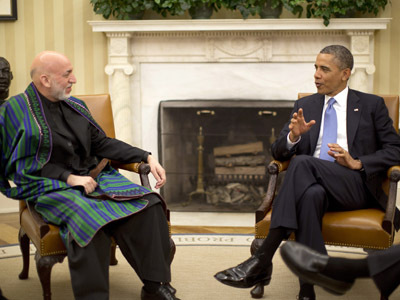 Karzai also recently admonished NATO forces for a raft of alleged wrongdoings. 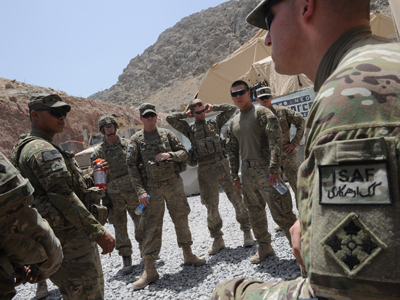 He has demanded that US troops move out of the region of Wardak, which borders Kabul, after alleged incidents of torture and extrajudicial killings by US troops, which have been strenuously denied by the Pentagon. He also accused the US of directing CIA-trained local operatives, to kidnap an Afghan student, before releasing him at the Afghan President’s insistence. The US says that it has neither captured nor released anyone. The points of contention come amid a US withdrawal from the mountainous country, after more than a decade at war. There are currently about 66,000 US troops in Afghanistan, but that number will be halved next year. It is not clear how many will remain beyond that time. ``We will tell the NATO where we need them, and under which conditions. They must respect our laws. 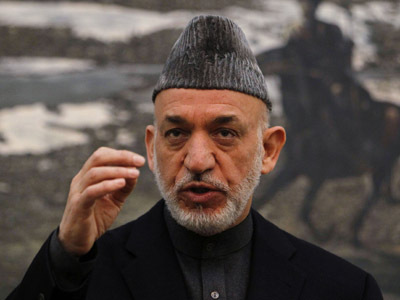 They must respect the national sovereignty of our country and must respect all our customs,'' Karzai declared on Sunday. The US has poured billions of dollars into training local police, army and security forces, to ensure that order does not collapse as soon as its ground forces leave. But the initiatives have met with local resistance (with recruits frequently shooting their NATO mentors) and suspicion from Karzai, who says the new organizations are opaque and are not under full command of his government.